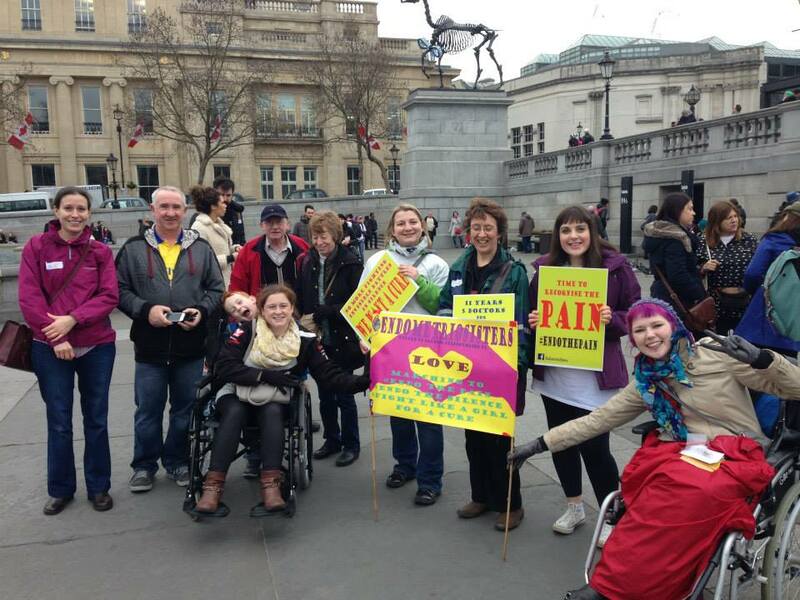 I was at the Worldwide Endo March 2015 in London. It was awesome! | The Endo The World? 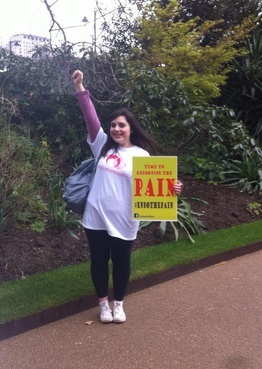 I was at the Worldwide Endo March 2015 in London. It was awesome! 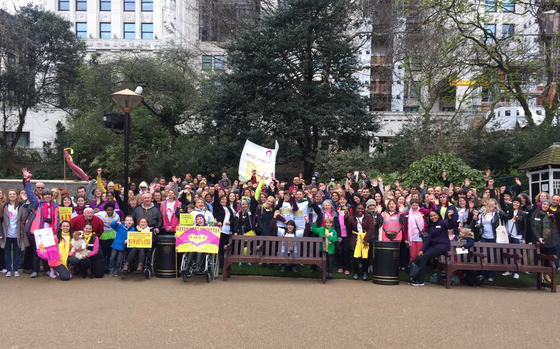 This weekend marked the end of Endometriosis Awareness Month, and the occasion was marked by the the Worldwide Endo March 2015. The aim of this march was to have a million people from all over the world walk through their local big cities to raise awareness for this awful disease. We ladies with endometriosis suffer far too silently far too often, so I was very excited about being able to get our voices out into the world as loudly as possible. I really enjoyed attending the British march, which took place in London from Embankment to Trafalgar Square. I was there with some of the lovely people from my local support group (which is run by Endometriosis UK), and it was so lovely to catchup with them and have some friendly faces around for support. One friend had been much more organised than me and had spare posters and leaflets for us to use, which was a nice touch. Even the predictably cold and grey English weather couldn’t dampen our spirits. On the walk, lots of passers by seemed interested, so we had lots of opportunities to talk about endometriosis with people and raise awareness! 🙂 It felt so good to be taking some positive action rather than focusing on the negative aspects of life with endometriosis. it’s NOT OK to live a life in constant pain and exhaustion. it’s NOT OK to wait 7.5 years (on average) to get a diagnosis. it’s NOT OK that we have limited treatment options and no cure. it’s NOT OK to experience infertility. it’s NOT OK how little awareness there is in the medical community and general public. Speaking to other women on the day, I was again reminded how my own (slightly terrible and traumatic) story mirrors that of many other women’s when it comes to endometriosis. That just can’t be allowed to continue- it’s utter madness. I was slightly disappointed that more people didn’t attend our event, considering an estimated 1.5 million women have endometriosis in the UK, but I do appreciate that many are too unwell, live far away, or just aren’t activism inclined. Still, I do think the endometriosis movement is gaining some momentum globally, so I hope we can all keep up our efforts and improve things one step at a time. Just because awareness month has ended I certainly won’t give up on trying to make a difference on this issue. ← How I get by with my endometriosis (with a little help from my friends). 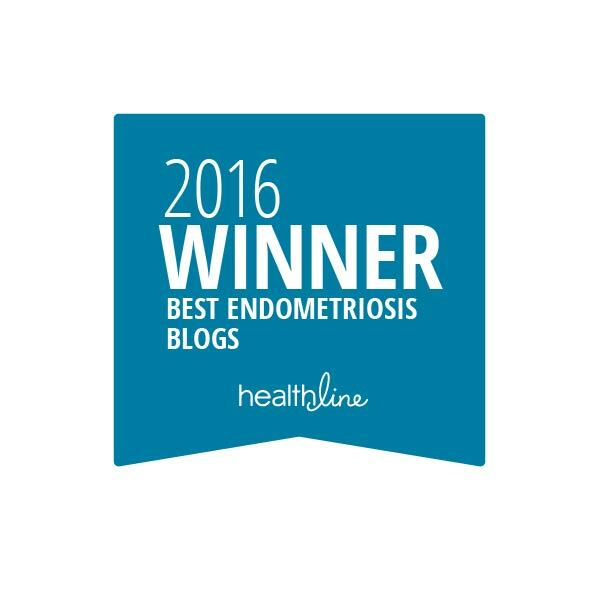 Pingback: Endometriosis Awareness Roundup 2015 | The Endo The World?